Now that you've made the exciting choice to purchase your new vehicle, it's time to think about the maintenance. Lithia Subaru of Fresno wants to make sure you keep the exterior maintenance in mind, as you continue to enjoy your vehicle. 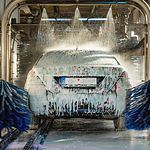 Washing your vehicle is extremely important for maintaining its appearance; however, it is one of those tasks that are often forgotten about or put off for another time. It may not seem like it, but washing your vehicle regularly slows down the aging of the paint and discoloration. One thing that you are going to notice about brakes, in general, is that they have a lot of needs. There is a lot that goes into making sure that you have the right type of brakes for your vehicle and that they are in the best possible condition. One thing that you are going to need is brake fluid. Twenty years ago, you only had radio stations in town to listen to, and sometimes there was only one. Now you have over a million different options, and that’s probably an understatement. What if you could access your music and apps right from your phone in your car? You can use your phone to sync up to your vehicle and instantly accessing everything on your phone. It can be a little tricky to jump a vehicle if you don't know what you are doing. You need a vehicle battery and some jumper cables. This will be very helpful when it comes to jumping a vehicle. You are also going to have to take some safety precautions when it comes to jumping your vehicle. When it comes to vehicle fluid leaks, it can be difficult to determine if it is a potentially dangerous situation that might leave you stranded or simply just a situation where a little leaking is perfectly okay. An ASE-certified mechanic at Lithia Subaru of Fresno can help you determine if you have a dangerous leak or not. Are There Different Types of Auto-Dimming Rearview Mirrors? Since the original auto-dimming rearview mirror systems hit the market, several different versions have appeared. When visiting Lithia Subaru of Fresno, you will see several of the versions available today. Though the original auto-dimming rearview mirror system was complicated and only provided a single service, time has adapted it into a multi-functioning device. Serving customers in Fresno, Lithia Subaru of Fresno has a large inventory of crossover SUVs with premium features. These vehicles are available with up to eight seats in three rows. In addition to having spacious interior layouts, such family cars are loaded with convenient amenities. A dual-zone climate control system is a common entry-level feature in affordable crossover SUVs. Some high-level models boast climate control systems with three zones. Having even a basic knowledge of your engine and how it works will help to make you a better vehicle owner. In addition to having a greater appreciation for your car, it can give you the knowledge to spot potential problems before they become costly repairs. Your engine has plenty of moving parts, among them the crankshaft and camshaft, both of which spin at a certain rate. If you find that you have a flat tire, you need to know how to put on a spare. Most vehicles are equipped with spare tires. Along with the spare are a jack and a lug nut wrench. These will be needed to take care of your flat in Fresno. It’s important to jack up the side of the vehicle where the flat is located. Drivers everywhere are basing their next car purchase decision in part on whether they can access Apple CarPlay in that particular model. This easy way of using your iPhone while driving is making drivers safer and helps them feel more in control of their typical phone functions.